ysabetwordsmith | Poem: "Red Moon Waning"
This poem is spillover from the January 19, 2016 Poetry Fishbowl. It was inspired by prompts from mama_kestrel, siliconshaman, and LJ user Ng_moonmoth. It also fills the "fork in the road" square in my 1-4-16 card for the trope_bingo fest, the "breathing exercises" square in my 8-1-15 card for the As You Like It fest, and the "lesser evil" square in my 5-18-15 card for the origfic_bingo fest. This poem has been sponsored by Anthony & Shirley Barrette. It belongs to The Moon Door series. Felice wanted to become a werewolf. She know what she was getting out of. tried to staple themselves to each other. "Where do we set the lower boundary?" the month," Felice said through her teeth. bad hangover. I'll take that trade. It's clearly the lesser evil." "She's right about the timing,"
Hilla said. "What about intensity? had taken a lighter to. shut up now," she said. "What about your family, Felice?" is pretty messed up down there." Felice asked, turning to Randie. spreading her hands. "I doubt it. "What about cycles?" Felice said. what, once a year? In spring?" "Winter to spring for natural wolves,"
might not happen to everyone." with your husband," Lucille said. "But that can take months,"
carving out even more of her life. "It's your choice," Hilla said. had opened in front of her. could actually imagine herself in it. to have children if possible. your eggs or embryos," said Hilla. "You're good at breathing exercises,"
but they're hard to keep up with." "Felice's Lamaze coach is amazing,"
so far and the results are fantastic. helps me stay in control and not panic. the coach offers a discount for groups." "Oh, that's a good idea," said Lucille. "Count me in if you're making a list. Randie, are you interested too?" a contract to make a mural," said Felice. a few months, I just don't want to make it years." Hilla patted her on the shoulder. "no matter how this turns out for you." Harry Armstrong -- He has butterscotch skin, brown eyes, and very curly black hair that bushes out from his head. His heritage includes African, European, and a little Chinese. He is married to Felice. They have been trying to have children for years, so far with no success. Harry is an artist. He does large-scale paintings on canvas. He also makes murals. He works in bright colors and crisp shapes, sometimes with characters. Harry only makes occasional sales, but they tend to be lucrative. So their family budget generally uses Felice's income for regular expenses, while Harry's income finances capital equipment, vacations, and other big incidental things. Endometriosis is measured in stages, and tends to get worse over time. It can cause infertility, but some couples still have success harvesting eggs and then using a surrogate mother for the pregnancy. Women with endometriosis often find it helpful to track their pain and other symptoms. Keeping a pain diary can help to manage chronic pain by monitoring changes and individual aspects. This pain scale maps 10 levels by indicating specific practical effects as well as approximate feelings. You can use any worksheets or other resources that you find useful to track different things. This pain diary has a page for levels during the day and another of body locations. 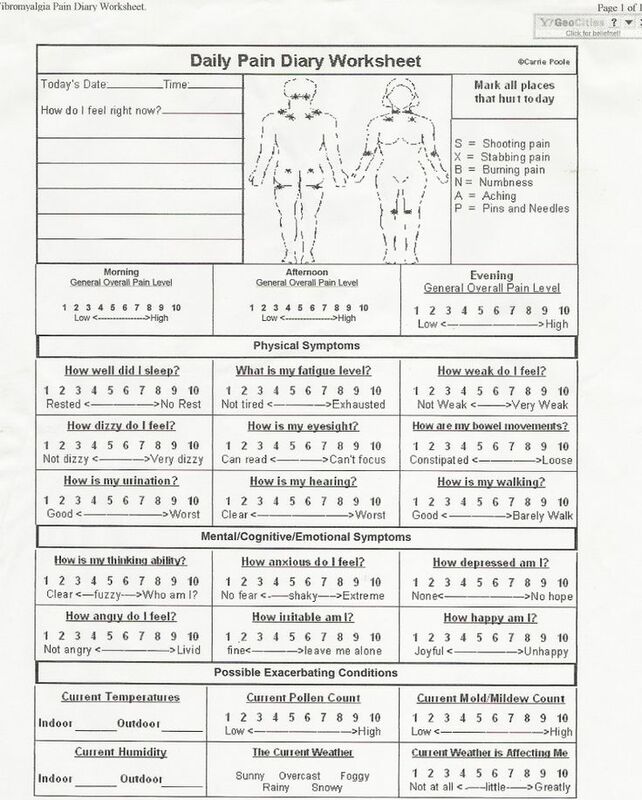 Here's one with a body map, pain levels, but also lots of other symptoms. This one has levels, a body map, and lots of talk about pain management techniques. This awesome and rather amusing set of scales uses pictures to measure different factors that may affect or be affected by pain -- ideal if you are often too fried to register words or numbers alone. The McGill Pain Questionnaire focuses on adjectives describing the type of pain. This online pain tracker has many functions such as body maps and levels. Chronic pain management benefits from care plans and action plans. Keep these in a binder for easy access. Here is a toolkit of useful materials. This page lists your health care team. Here is one on setting health goals. 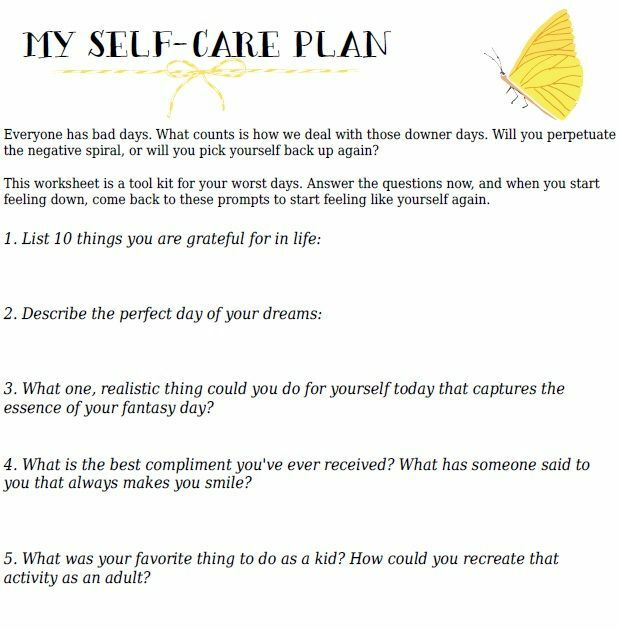 This self-care plan focuses on writing down positive actions. This simpler one divides into body, mind, and spirit. This more elaborate one adds extra categories. Here is a checklist for self-soothing through the senses. 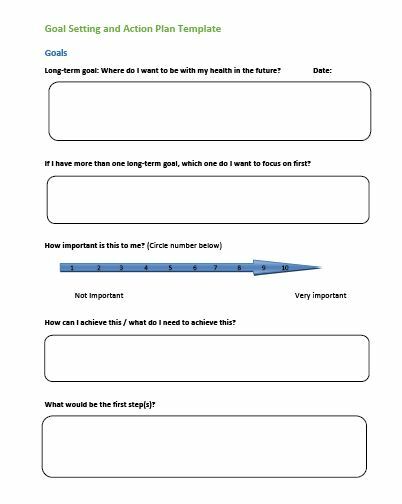 This set of worksheets concentrates on acceptance through choices and distractions. This pair offers activities for distress tolerance. Here is an action planner for weekly goals. WRAP is a workbook for planning how to manage your care when you are impaired. It makes a good basic framework that you can customize according to your condition(s). Natural wolves mate in winter to spring. The Lamaze Method uses breathing techniques to cope with pain. Although developed for childbirth, it works great for any rhythmic pain, and pretty well for pain in general. Mindful breathing is also good for calm. Chin tucking is a defensive gesture. Social anxiety may involve fears of hurting other people or being hurt by them. For Randie these are quite credible threats, but her coping methods are causing troublesome side effects. Isolation is good for neither humans nor wolves. There are ways to stop worrying. You can also overcome social anxiety while taking reasonable precautions to avoid predictable problems. Harry makes large-scale paintings with bright patterns like these and interesting objects or people. There are tips for painting on a large canvas, making a mural, or creating other big art projects. I understand wanting to be out of pain, but it's good Hilla and Randie are making Felice think. There is a learning curve to this project. It seems really exciting at first, because Hilla got such good results, but her transformation was unplanned and more violent than necessary. So they need to make plans for minimizing the risks. That includes ensuring that people think through the pros and cons before deciding on lycanthropy. It's not helpful for everyone -- and in that regard, it's much like any other radical therapy. They know some of the process for making those choices, just from past experience helping each other work through medical options. But they're not going to think of everything. Carefully we have understood that People experiencing Pain Specialist Sydney (http://www.sydneypainrehab.com.au/) which may have difficulty recognizing or describing what they feel and how intense it is. We need to protect these issues.